All ladies are invited to join me in January for our annual online book study. The study begins Monday, Jan. 8 and ends Monday, Feb.12. 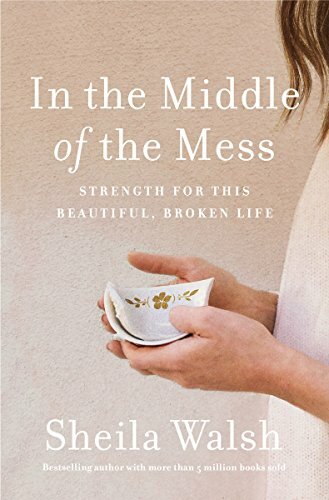 We will be reading Sheila Walsh’s new book entitled “In the Middle of the Mess: Strength for This Beautiful, Broken Life”. Participants can register by going to wnccogwd.wordpress.com. This will take you to the main blog page. Click on "Home" and then you will see a "Follow" prompt on the lower right hand side of the screen. Click on that and enter your email address. You will then be sent an email to confirm you want to follow. You will receive the blog posts by email each Monday. Please note, if you participated last year you are already registered. Each lady will be responsible for buying her own book. The best price I found was on Amazon. In preparation for the first blog, you will need to read the first two chapters of the book. I am looking forward to sharing this study with each of you!